Cute single level home in desirable Mtn View Park. Gated community in NE Bend conveniently located near medical facilities, shopping and restaurants. Light & bright with vaulted ceilings, gas fireplace, spacious kitchen and large master bedroom with walk in closet. Private, low maintenance backyard with covered deck, storage shed and views of Pilot Butte. Needs new carpet, interior paint and some TLC, price to sell as-is” and ready to make your own! Attached 2 car garage with built in storage cabinets and handicap accessible ramp. Community offers pool, sports court and front yard landscaping care. 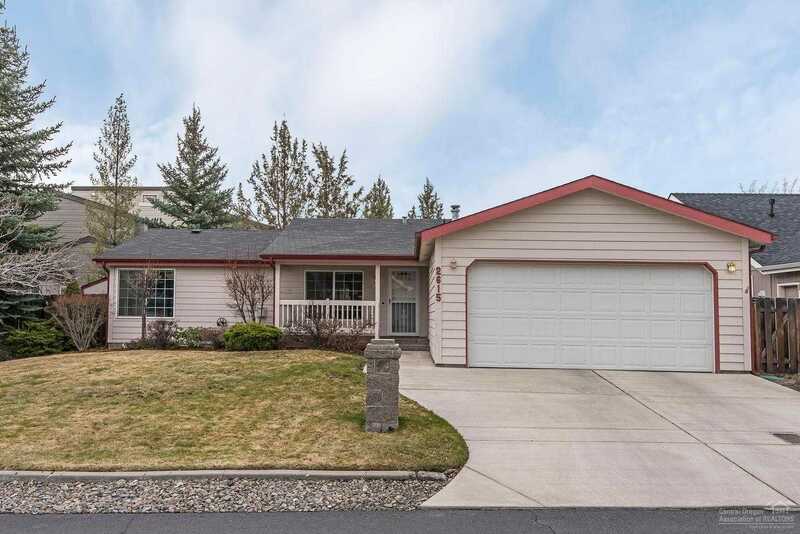 Please, send me more information on this property: MLS# 201902698 – $269,900 – 2615 Ne Wintergreen Drive, Bend, OR 97701.